Himalaya Mount View Resort in Kausani is built on a hillside way so as to enhance the beauty of the surroundings and to have a view on the Majestic Himalayas. View of the Catyur Ghati is best visible from the Himalayan Mount View resort. If you have been dreaming of a peacefully relaxing and utterly charming holiday, here is the perfect place for you. 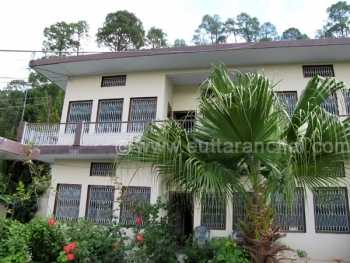 Himalaya Mount View Hotel is located on the Bageshwar Road in Kasuani. It is 2 kms from Kausani Bus Stand and Market. 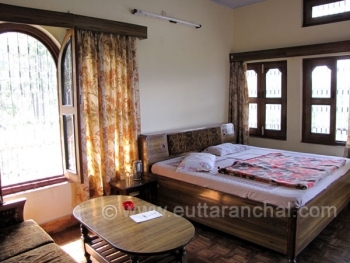 There are 26 furnished Room facing the Himalayas in Hotel Himalaya Mount View. The rooms are categorised are Super deluxe, Deluxe, Cottage and Four beded room. Hotel Himalaya Mount View Resort have a multi cuisine restaurant.